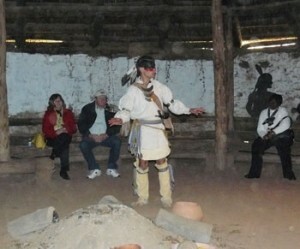 Cherokee Nation is offering a chance to experience its thriving culture through several interactive tours. Stops at the Cherokee Heritage Center and Museum, where the Trail of Tears exhibit can be found; the Murrell Home; which is the last of the antebellum plantation homes remaining in Oklahoma; Tahlequah, the capital of Cherokee Nation which includes visits to the Cherokee National Capitol Building, Cherokee National Supreme Court Museum and Cherokee National Prison Museum; and Northeastern State University’s Seminary Hall, which was once the Cherokee Female Seminary and one of the first women’s institutions for higher learning west of the Mississippi River. Praises the life and work of a world-famous Cherokee and Oklahoma’s favorite son with a visit to the Will Rogers Museum; the Dog Iron Ranch, Rogers’s birthplace; historic downtown cities, Oologah and Claremore; and the J.M. Davis Arms museum. Celebrates the 150th anniversary of the American Civil War and includes stops to the historic Capitol Square in Tahlequah; the Murrell Home; Fort Gibson Historic Site; and Honey Springs Battle site. Reexamines a time prior to the Cherokee Removal, or the Trail of Tears, when a assemblage of Cherokees willingly moved to Arkansas in 1808 and then to Indian Territory in 1828. The tour visits Tahlonteeskee Courthouse, Sequoyah’s Cabin State Park, Dwight Mission, and Fort Gibson Historic Site.